I am very new to blogging, having started only in October 2017, and in the initial months, it can really feel like you are talking to an empty theatre. Even though I started this blog with no expectations of an audience, it can get lonely. 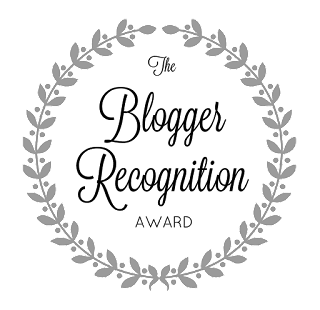 So when the wonderful Lucia from Travelifesto nominated me for the Blogger Recognition Award, I was overjoyed. A big thank you to Lucia, your nomination means a lot to me. Now a quick confession, I received this nomination in mid-December 2017 so I am a little delayed. December seems to have gone by in a rush, but I did want to honour the nomination so here goes. To be honest, I didn't know anything about blogging when I started dressesndreams. I decided to start a blog one day, wrote a post and published it with little thought to blog design and none to promotion, SEO, content strategy. Of course, I did a lot of things wrong and made many mistakes. But in hindsight, I am glad it happened the way it did. If I had begun reading about blogging I would have made lots of plans, dreamed some big dreams and then become too overwhelmed by the informational cascade to actually follow through with my ambitious plans. Starting small helped me to make mistakes without worrying (too much) about them. My audience was primarily friends and family so if I was making mistakes it was in front of a teeny tiny audience. Over the past months, I have been learning more and more about the world of blogging and how to reach out to wider audiences, dos and don'ts etc. But what remains important to me is the message I am trying to get across through my blog... which is to create awareness about minimalism, sustainability and an ethical approach to fashion. The first piece of advice to anyone who wants to start a blog or has just started out (hello there!) is to just go for it. I don't mean to tell everyone to leap before they look the way I did, but don't overthink it. Don't plan so much that you forget to execute. There are literally tons of posts you can read about blogging, tutorials and webinars you can take or Facebook groups you can join. Don't get overwhelmed by it all. If you feel like you are drowning in information (some of which will be contradictory), just go with your gut on some of those things or make a pro-con list and start making decisions. Once you have made a decision, move on to the next item on the agenda and begin to execute your plans in a real and tangible way. Secondly, don't get pulled into doing things that you aren't ready to do or don't fit your budget. Whether it is a self-hosted website or an expensive domain name or that $100 tutorial package someone is trying to sell you repeatedly. You are the best judge of what will work for you. For e.g. I am not yet ready to invest in a DSLR camera or hire professional photographers to take my pictures, so it doesn't matter if a blogger with 100K followers believes that it is essential to growth. It's ok to grow slowly (especially if you are doing it as a hobby like me). Find your pace and don't get drawn in by grow-quick schemes if you are not ready for it. Before I get to my nominees, I just want to add a quick note. While blogging is (largely) a solo activity, the blogging community is truly a community in every sense of the word. I am so grateful for the help and support I have received in the past few months and I truly hope I am able to pay it forward. So if you ever have anything you think I could help with please feel free to reach out to me. Moving on to the nominees, some are new friends who have been super supportive and write amazing blog posts that I love to read. Others are blogs that I like to read and hope to become their friends soon. Here's the list in no particular order. Brittany from Chic on Wall St.
To all the nominees, congratulations! I look forward to reading your posts soon. Please feel free to share your links here so that we can go and read the post once it is up on your blogs. This post was originally published on 14 January, 2018 on my first blog. I have migrated it here and made some minor updates. I'm Juhita - Like most girls, I have often struggled with the question of what to wear. Even as my wardrobe ballooned, the answer remained elusive. Until Now. Join me as I work my way through the many options to downsize my wardrobe and make it more sustainable. I will be sharing the approaches to minimalism and capsule wardrobes as I attempt to simplify the question of what to wear. The objective of this blog is to draw on a minimalist, ethical and sustainable approach to fashion. Do You Need Minimalism in Your Life Right Now? Shoes: How many pairs do you really need?